So I am back after a 2 week maternity break. No, I am not cooking yet, but these were some dishes I had already cooked and taken pics of before my delivery and hence just had to type out the recipe and post it. 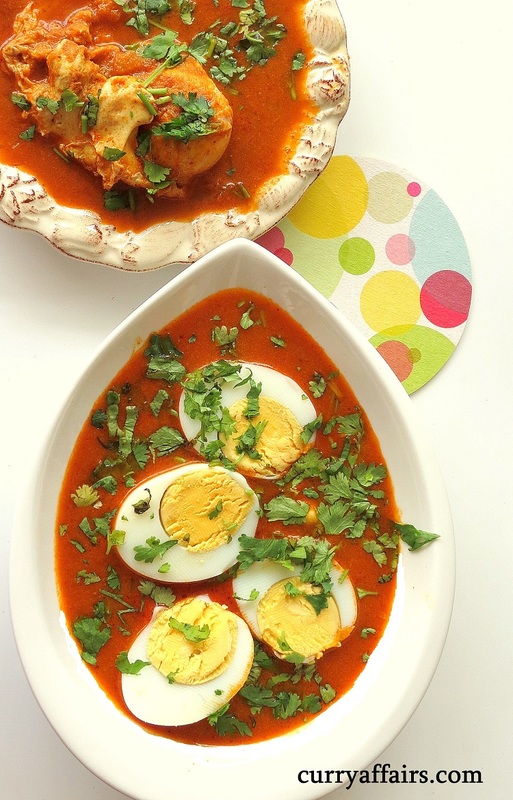 This Konkani egg curry is one of the most cooked curries at home. I cook it whenever I feel like eating something rich and non veg yet am not keen on cooking an elaborate chicken or fish curry. 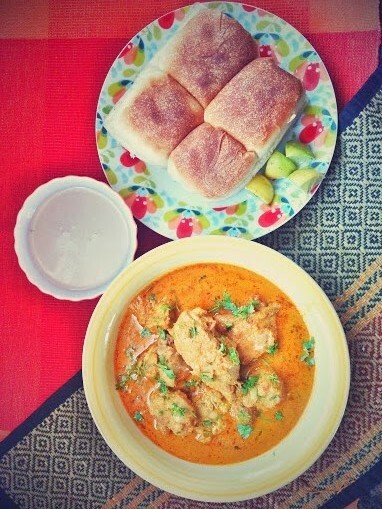 Its a very easy and delicious dish and tastes yummy with hot rice as well as chapatis. The flavours come from the common ingredients used in Konkani cuisine which is coriander seeds, red chillies and tamarind but in this dish we add some additional whole garam masalas like cinnamon, cardamom, cloves and pepper. However we take care that these additional spices do not overpower the basic Konkani taste. 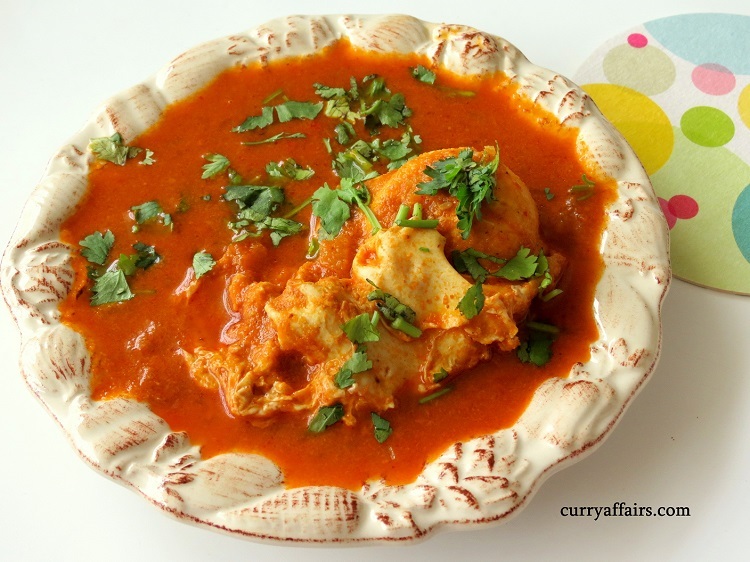 This curry tastes even better the next day with the egg coated really well with the gravy. Here is my moms recipe for Konkani egg curry which we also call Ande Ambat or Mote Ambat in Konkani. Take a small pan and add 1 tsp oil. Add coriander seeds, pepper, cloves, cardamom, cinnamon and red chillies and fry for 2-3 mins. Take care not to burn the spices. Take another deep bottomed pan and add 2 tsp oil. Fry the onions in the oil till translucent. Do not brown the onions. Next add the masala to the onions and mix well. Add water to bring to a curry like consistency. Adjust the salt according to taste and bring it to boil. When the gravy is ready, you can add the eggs. You can add boiled eggs whole with some cuts in it for the gravy to seep in or cut them into 2 and add it. Cook for 3-4 mins.Garnish with finely chopped coriander leaves and serve with rice or chapatis. Note: The picture on top of this page has boiled eggs added to the curry while the one immediately above has raw eggs dropped into the curry. I prefer the later.